The government formulates taxation policy with an aim of performing a variety of functions and fulfilling the financial needs of the country by using the money received in the form of tax on development projects. Tax is nothing but a mandatory contribution, levied by the government, without reference to any benefit to the taxpayer, in return for the tax paid by him. By nature, taxes are classified as a progressive tax, proportional tax, and regressive tax. Progressive tax refers to the tax which rises with the rise in income. Conversely, the regressive tax is one wherein the rate of tax decreases with the increase in the taxable amount. Take a glance at this article to know about the differences between progressive and regressive tax. Meaning A taxing mechanism wherein, the tax rate rises with the rise in the taxable amount, is called progressive tax. A tax system in which the tax rate falls with the increase in the amount subject to tax is known as regressive tax. Assessment On income or profit. As a percentage of asset purchased. Rate Marginal tax rate exceeds average tax rate. Average tax rate exceeds marginal tax rate. A progressive tax is a tax system, in which the rate of tax goes up with a rise in the amount of tax. In short, it is a tax system in which the tax rate depends on the person’s ability pay, i. e. high tax is collected from those who earn more and less from those whose income is low. Therefore, the taxpayers are divided on the basis of their level of income. This taxing mechanism aims at reducing tax incidence of people, with lower income as the tax incidence is shifted on the people with higher income. Further, it is based on the notion that individuals who earn more, have to pay more. For example Income tax, wherein the income tax is divided into various slab rates, i.e. Whenever the income of the assessee crosses a particular slab, a higher income tax rate is imposed on his income. When the amount subject to taxation increases, the overall rate of tax decreases, then this taxing mechanism is said to be regressive. Simply put, the regressive tax is one in which high tax is collected from low-income earners and low from high-income earners. The regressive tax is applied in a uniform manner, i.e. the tax is fairly imposed on all consumers regardless of their level of income, on the basis of what they own or purchase. But, because the tax is not associated with income, the low-income group are severely affected by it, has they have to pay a higher share of their income as the tax on necessities. Therefore, the incidence of the tax, falls more on poor people than on rich, as the relationship between tax payer’s ability and the rate of tax is inverse. For example, Value Added Tax charged fairly to all customers, but lower section of society is highly affected by it. In progressive tax system, the tax is imposed on income or profit, on the basis of increasing rate schedule. As opposed to the regressive tax, wherein the tax is charged as a percentage of the asset purchased or owned by the assessee. In progressive tax system, the assessee’s ability to pay is considered. Unlike, regressive tax, wherein the tax payers level of income does not matter at all. Progressive tax includes all direct taxes while regressive tax covers all indirect taxes. In progressive tax, marginal tax rate is greater than the average tax rate. As against this, in the case of a regressive tax system, the marginal tax rate is lower than average tax rate. In progressive tax, people with low income enjoys reduced tax burden as the incidence is shifted to the high-income group. On the other hand, in a regressive tax system, high-income group, enjoys reduced tax burden as the incidence is shifted to low-income group. 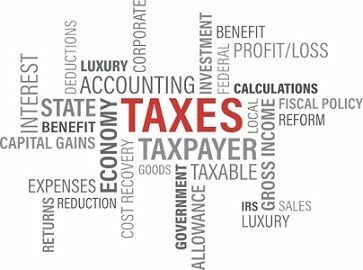 Taxation is a part of government fiscal policy, which aims to achieve the national goals. It plays a crucial role, as it is one of the major sources of country’s finance. The regressive tax is an exact opposite of progressive tax, as in the progressive tax, the rate of tax progress from low to high, while in regressive tax, the rate of tax progresses from high to low.